Links: Original Post || Whole Series || About the Author || Why is this published here? 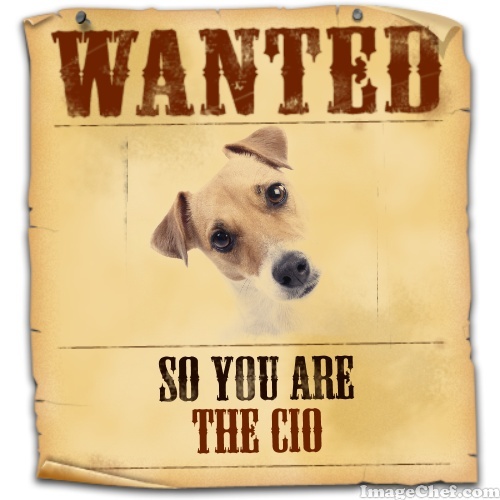 So you are the CIO...? The most important thing that you can do to make yourself successful is to understand the psychology of people you are working with. Technology you know well, and that's the reason you are the CIO. The next most important thing is to realise who controls what in a hospital. This will help you determine that who can make your life miserable and who can make it worth working there. In a hospital, in spite of everyone working with the single aim of healing the patients coming there, there are some inherent forces which move in contradictory directions. This may be true of most organisations but it affects the hospital more because all the concerned people are ultimately working for a single person called 'patient'. Whenever anything breaks in the whole chain, the result is evident on the patient, be it a botched up surgery or a badly done lab test. Before even attempting to understand the processes of a hospital and applying your digital knowledge to refine them or automate them, you must pay close attention to understanding the mindsets of the key people in the hospital. Doctors: Obviously, among the doctors, not all will be equal. You may need to find out the more influential ones, the trouble making ones and the fence-sitter ones; but they all have a higher collective influence than any other single group. You may like to step back from the daily grind of your work and take a bird's eye view of your hospital. Typically, you'd see that doctors are a divided lot. Most do not appreciate the other and none will miss a chance to show how he would have handled a case better than what the current doctor is doing. This is normal doctor behaviour and need not be interpreted too much. Further, you'd need to notice that departments (dept) are like small kingdoms and heads of dept (HOD) are typically autocratic. This is more in surgical fields than medical. The dept runs like a lion's pride with the HOD as the alfa male (or the matriarch), and everyone else rolling up to him/her. You will also realise that most top notch doctors will have one ghastly assistant whom he trusts insanely and everyone else hates him/her from their core. Yet this character is important to you. Identify him/her and stay close to him. He'll make your life easier. Identify residents and most junior doctors. They are the feet on the ground and are usually more tech savvy than their HsOD. When you, as CIO, have overcome admin hurdles, these juniors will be the ones who will give inputs for choosing a software and later feedback for improvement. They will be your true soldiers when it comes to pure implementation. Lastly, identify para-clinical doctors. Pathologists and radiologists are proud doctors and it will be important for you to understand them and their work. They provide services to other specialities but rarely get the credit. Do not be surprised if you find a chip on their shoulder. The fact is that their place in the system turn-around is as important as anyone else's and they deserve their due. They will have rather different demands from your system and it is of some importance to not ignore them. There may be a tendency in you, and other doctors and admins, to underplay their demands as they are a single dept and compared to other wings, may not be as vociferous. But a lax attitude towards their role in automation will inordinately muck up your processes and automation. Humour them. Before we move on, i would also like to share that surgeons, once on board with your idea of automation, will usually be the pioneers of your tests and processes. In a way, you will find that surgeons will both oppose and support your ideas with greater passion and vehemence. They are also heard more, usually. It is up to you to decide which side of the table you want to keep them.